We’re a Nairobi based startup that is solving the lack of physical address system in Kenya and beyond. We are building the next generation of a physical address system, which will increase commerce through better logistics, save lives through improved emergency services and grow access to finance through a better identity system. There are more people in the world without a physical address than with. 4 billion people in fact. It’s our mission to physically connect the world with a global address system. 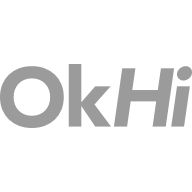 As one of the first employees at OkHi, you’ll be in control of your destiny as well as being an instrumental influence in shaping our culture. We work hard and play nicely to ensure our daily environment is a happy, open and collaborative place. A space we look forward to working in, with people we enjoy spending time with. We take lunch very seriously – it’s the only thing we’re not lean about. Good food and the shared experience of eating together is really important to us. We’re also flexible about work hours, holidays and enjoy explaining the origins of our kooky name. Sounds like a place you'd like to work? Great! Please review the positions we are currently hiring for and apply to the ones that interest you.